Back in the days of the Galactic Empire, when the Imperial Fleet was wreaking havoc all across the galaxy the Rebel Alliance made it clear that they were more than just a band of rag-tag fighters by striking them where it hurt and destroying the Death Star. As if often the case, the Empire knew that they had to send a message and the plan was, capture Luke Skywalker, freeze him in carbonite and take him straight to the Emperor. Period, end of sentence for our heroes, or at least that was the plan. 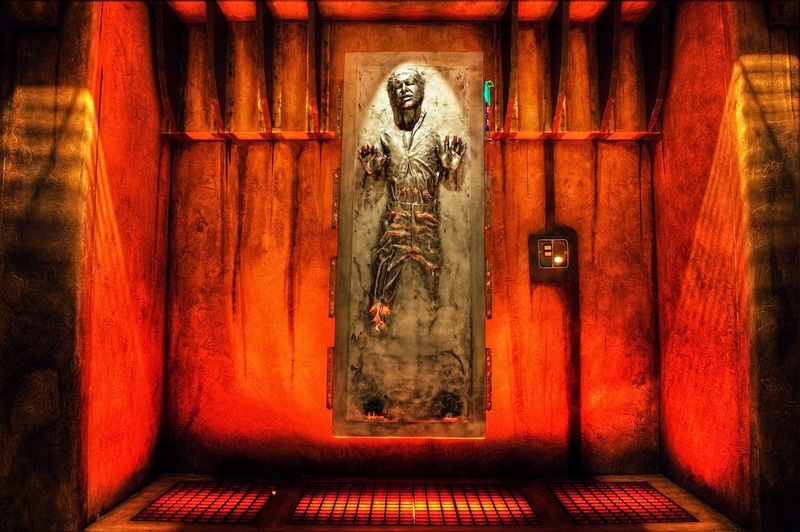 Only carbonite freezing was not a 100% thing, so his wing-man, Han Solo was chosen by Vader as a sort of test case, to be carbonite gift-wrapped and delivered to Jabba the Hutt. The rest as they say is history, or at least, good science fiction. Much like carbon freezing, carbonic maceration is a technique that's got it's start long ago, in a galaxy far, far away, called Beaujolais. Or at least that's the French wine region that's become synonymous with the use of this particular method of fermentation. With carbonic maceration an oxygen free environment is created, when carbon dioxide, rather than carbonite, is pumped into containers where whole grapes, as opposed to crushed grapes, or Han Solo, begin their fermentation. What's interesting about that you might ask? We'll smart guy; the fermentation happens in each intact grape, within the skins as opposed to in the juice that is released when grapes are crushed. The latter being how wine is typically made. The resulting wines are super fruity, low in alcohol and tend to be almost bereft of tannin whatsoever. Think of the Beaujolais Nouveau style. The wines undergo fermentation in steel tanks, again happening in each single berry, and then they are immediately bottled, as opposed to spending any time in a barrel. While freezing someone in carbonite preserves them so that you can deliver them without much fuss to your evil henchmen boss types, carbonic maceration preserves a fresh fruit forward wine that rather than preserving you should drink typically within a year of the vintage. Wines fermented using carbonic maceration don't carry with them the structure and tannin that can lend itself towards a long life. When wine is typically fermented, after being crushed, it's exposed to various skin, seed and stem tannins, and it usually undergoes a much longer fermenting process which develops that structure and longevity. Additionally, wines done with carbonic maceration, because they were exposed to so little oxygen early on also tend to really open up over two to three days of drinking. The only problem there- these wines are so easy to drink they tend to disappear quickly. While carbonic maceration is associated with Gamay and Beaujolais, not to be confused with Boba Fett and the Dune Sea of Tatooine, where one might associate carbonite freezing; folks in Oregon's Willamette Valley are looking to carbonic maceration to create a juicy, fresh and frankly fun drinking Pinot Noir. 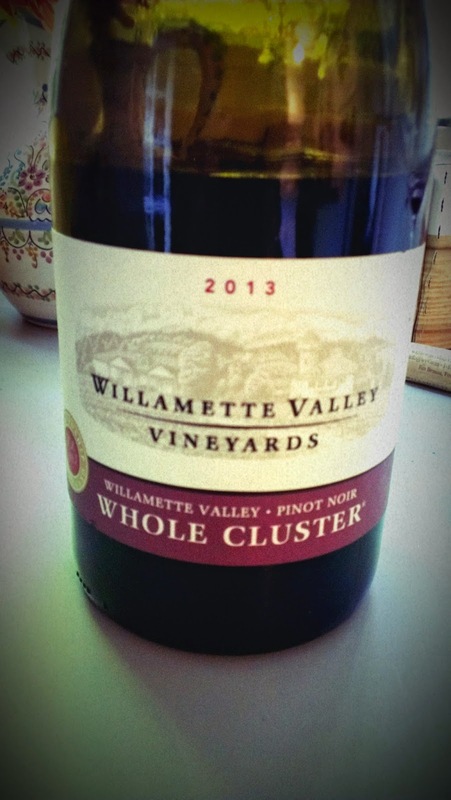 The style of wine has seen a bit of a boom recently with many of Portland's urban winemakers creating Oregon Nouveau style wines to coincide with November's Beaujolais Day, but the trending style of production has been around a long time at one Willamette Valley stalwart. 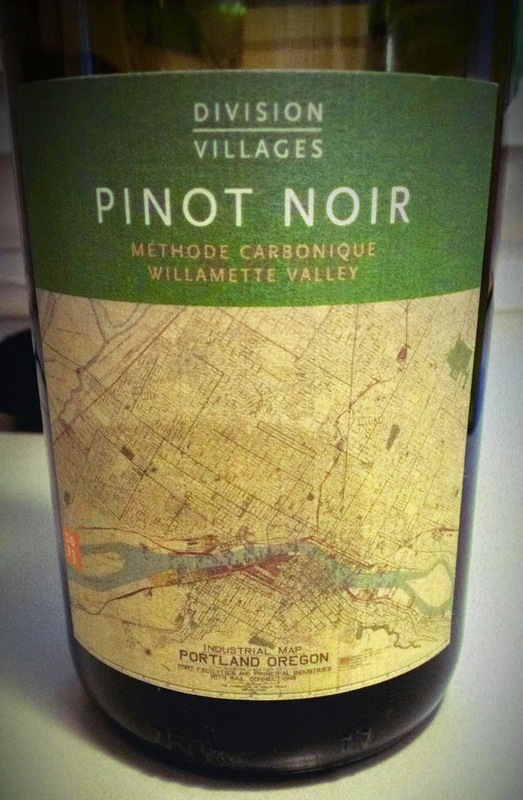 Willamette Valley Vineyards probably makes Oregon's best known carbonite, I mean, carbonic maceration Pinot Noir in their Whole Cluster Pinot Noir. The wine started out in the early nineties as an experiment in style, says WVV's Jim Bernau "We were just experimenting in 1991 with Pinot Noir styles. We thought, 'What would happen if we made a Pinot Noir like the French were making Gamay Noir?' We just started off with 190 cases that first year with our Winemaker, Dean Cox. Then, the next year on a trip to the Willamette Valley. Robert Parker Jr. came into our cellar and told us we were making the most accessible Pinot Noir in the world. The wine took off and it is now one of our leading wines." These wines were sent as samples from the wineries. A Football, used within the action with American Football, is definitely an piercing filled with air rubberized vesica which tapers to a degree at most end. Regardless of usually currently being termed as a pigskin, a football is truly included using a pebble-grained synthetic leather, or even cowhide. Whitened shoelaces usually are stitched on the one hand of your golf ball to permit the actual passer for any improved grasp about it.